After tying the knot in Italy’s breathtaking Villa Del Balbianello, the newlywed has moved down south to Deepika’s hometown Bengaluru to host their reception. After a whirlwind courtship, Deepika Padukone and Ranveer Singh tied the knot in Lake Como's picturesque Villa Del Balbianello. Their Italy wedding was nothing short of a fairytale. The couple got married on November 14 in a traditional Konkani ceremony, which was followed by a Sindhi wedding on November 15. Both the functions were fiercely intimate with just about 40 guests in attendance and a ban on prying mobile phones and paparazzi. The security at the wedding venues was reportedly at par with that provided for a meeting of world leaders. Since their wedding in Italy was a private affair, Deepika and Ranveer will host two nuptial receptions in India. The first will be organised at Bengaluru’s Leela Palace on November 21 for Deepika’s friends, family and relatives in the Karnataka capital. After tying the knot in Italy’s breathtaking Villa Del Balbianello, the newlywed has moved down south to Deepika’s home town Bengaluru to host their reception. 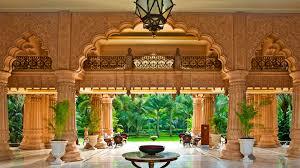 The couple narrowed down their reception venue to The Leela Palace Bengaluru. The ball room of The Leela has been booked by the couple for Deepika’s close friends and family members as it is an intimate gathering. 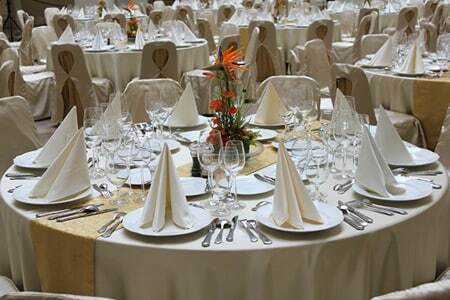 The reason behind choosing this stunning location is not just the venue but also the bride-to-be's love for Italian cuisine. 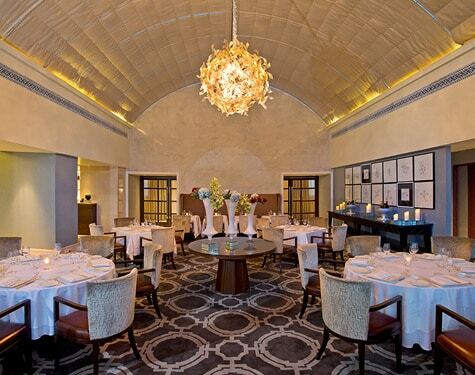 According to a source close to the couple, "The biggest reason why Deepika chose to have the reception at the Leela, Bangalore was renowned Italian restaurant of New York Le Cirque which goes by the name Le Cirque Signature. DeePee loves the restaurant in NYC and their franchise in Bengaluru drew Deepika to The Leela. Her mother has also gone for food tasting 2-3 times. The food will be pre-dominantly South Indian though. They will check into the hotel on 20th and check out on 22nd." 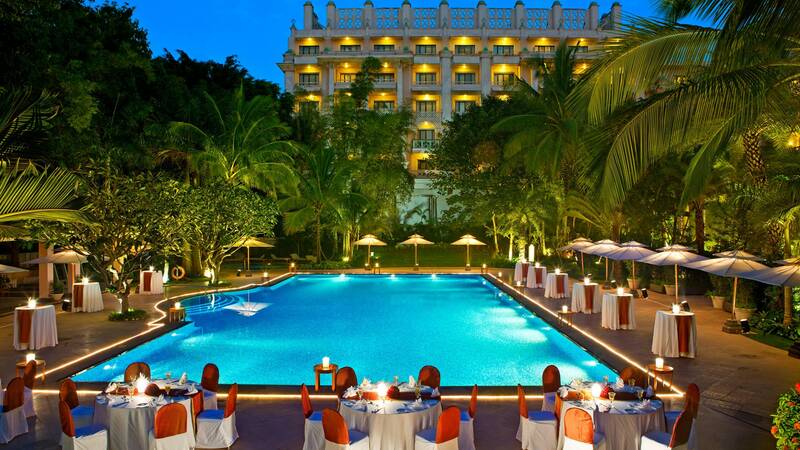 Influenced by the architectural glory of the Royal Palace of Mysuru, The Leela Palace’s signature regal architecture, cascading waterfalls and lush green area spread across acres makes it one of the most stunning locations in Bangalore. The seven acres of lush greenery, the copper domes, ornate ceilings and arches, reflect the architecture style of the bygone Vijayanagara empire era. 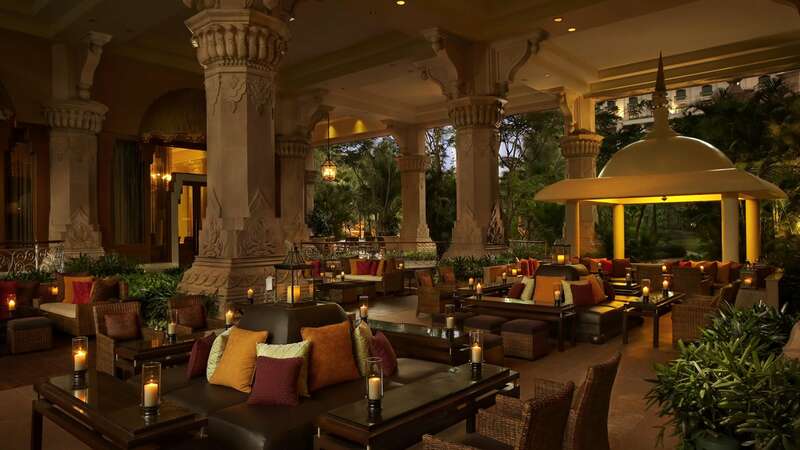 Travelers love the hand woven rugs, priceless antiques and luxurious fine dine of the hotel. Famous for their Library Bar and global dining at restaurants like Jamavar, Citrus and Deepika’s favorite Le Cirque Signature, travelers make it a point to visit The Leela when in Bengaluru. Followed by a reception in Bengaluru, the couple will host another grand reception at The Grand Hyatt inviting theirs friends from the film fraternity. 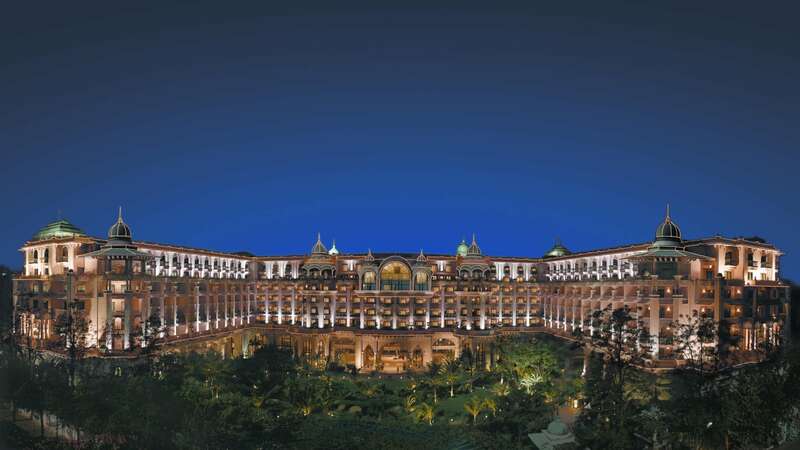 Here is the sneak peek inside The Leela Palace Bengaluru where Deepika Padukone and Ranveer Singh will host their reception.